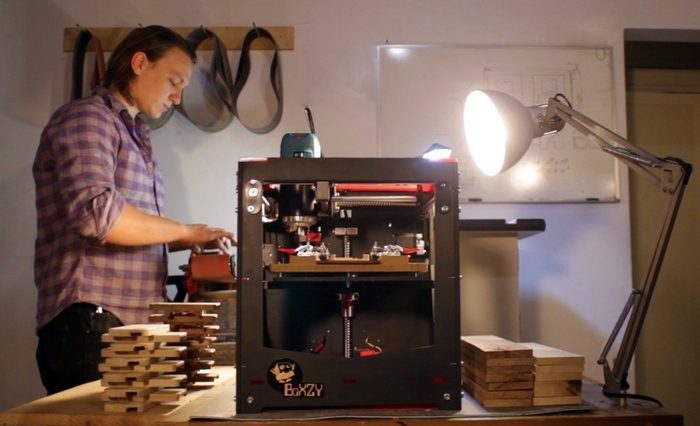 This DIY machine can engrave designs into wood, opaque plastic and leather. Many people have a nice assortment of tools in their garage or Makerspace, but once you get into computer-controlled implements, both your capabilities and, normally, the price of them goes up a notch. Instructables user Macinblack20 decided to step into the world of laser engravers with his project, and according to his how-to article, it can be built for less than $200. 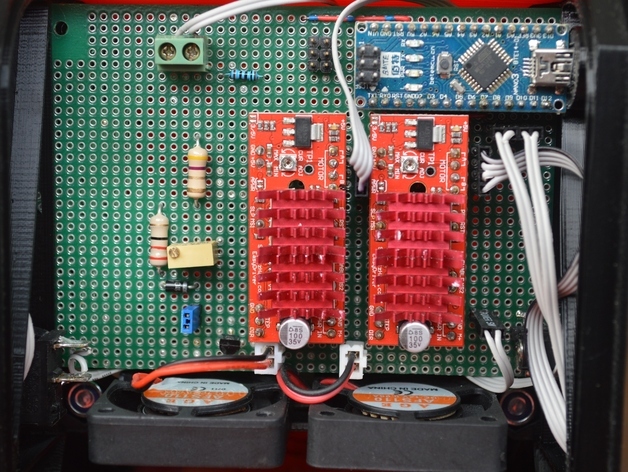 His machine uses an Arduino Uno (ATmega328) running grbl, an open source CNC controller, to actuate two stepper motors. They move a one Watt laser in the X and Y axes on a gantry made out of OpenBuilds components. These parts, as well as a few others, are listed in the “materials” portion of his Instructables page. OpenBuilds appears to be an interesting option for Makers trying to source mechanical parts that can be hard to find or expensive. Admittedly, employing a laser meant for engraving can be hazardous to your eyes, so you’ll definitely need a pair of laser safety glasses meant for the type of beam you’re using. Although an interesting build, don’t attempt something like this unless you’re absolutely confident that you can be safe with it. For a seemingly less hazardous build, you may want to check out the CNC EtchABot, an Etch A Sketch with knob controls as well as an automatic erasing mechanism. This entry was posted in Arduino, Cool Things, Don’t Try This At Home, Maker Movement and tagged Arduino Laser Engraver, Arduino Uno, ATmega328, GRBL, Laser Engraver on January 21, 2016 by Jeremy S Cook. 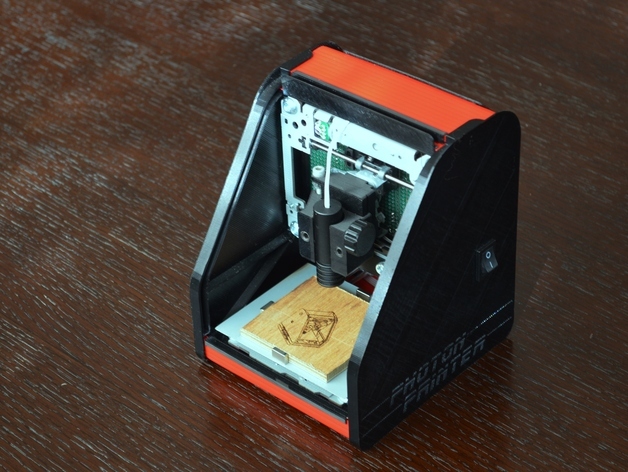 The Photon Printer is a 3D-printable laser engraver made from recycled DVD drives. It seems like nowadays Makers can transform any form of electronic waste into a fully-functional device. Case in point: this pocket laser engraver comprised of recycled DVD drives. In a project he calls the Photon Printer, Maker Stephen Brockett has successfully developed a micro laser engraver made from a pair of spare DVD burners, some stepper drivers and an Arduino, of course. Inspired by a previous Instructables project he happened to stumble upon, the idea was originally meant to be a simple weekend activity, but didn’t take long to evolve into a much more elaborate endeavor. Brockett points out that the laser diode needs to be from a DVD drive capable of writing to discs, because the laser from a read-only drive isn’t powerful enough to engrave. In his case, the Maker used a set of LightScribe drives from an old HP GSA-H60L that he had lying around, and the Photon Printer’s X and Y mounts have been designed to fit these drives. “The newer the drive, the more powerful the diode will be. After about 2009, they changed the diode package making it harder to use, so aim for something before that,” he advises. Powered by an Arduino Nano (ATmega328), the engraver features laser housing with a glass lens and a pair of EasyDrivers that rely upon the regulation of a 5V USB supply. Aside from that, Brockett decided to 3D print a few of his parts including the enclosure with built-in roller door access, as it enabled him to customize the housing to best suit the oddly-shaped DVD components. Since the parts had one large flat surface, 3D printing was super easy. To modify the DVD axes, Brockett suggests unscrewing the hub ends to expose the circuit board, and then from there, soldering wires to the two terminals on the far right, as they connect to the end stop micro switch. Afterward, reassemble and then solder four wires to the stepper motor. In terms of software, the Maker employed GRBL — an open source, high-performance CNC milling controller written in optimized C that will run on an Arduino — and generated a Gcode for the engraver. As a whole, the Photon Printer itself works quite well, especially given the minimal parts and cost associated with the project. 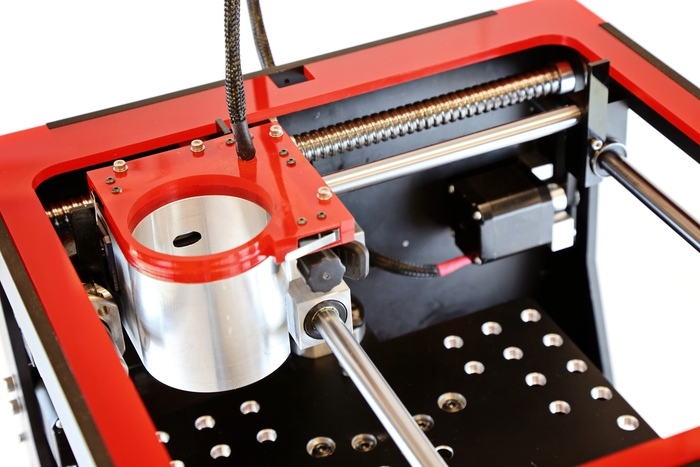 What’s more, the device boasts various adjustment options and a spring-ensioned Z axis to reduce vibration. Intrigued? 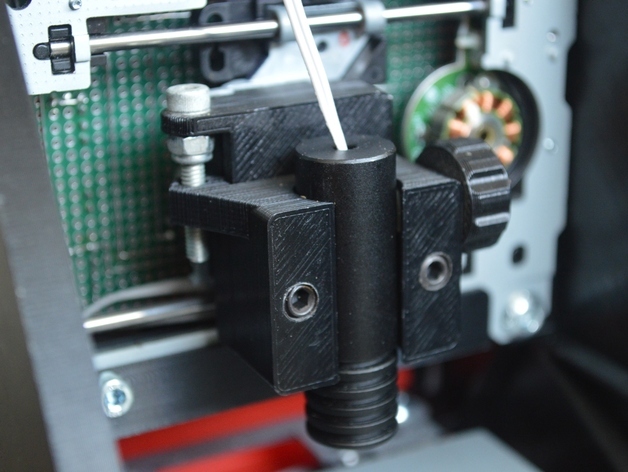 You can head over to Brockett’s Thingiverse page here, or watch it in action below. This entry was posted in 3D Printing, Arduino, Maker Movement and tagged 3D Printing, Arduino nano, ATmega328, DVD Drive Laser Engraver, Laser Engraver, Makers, Micro Laser Engraver, Photon Printer, Thingiverse on July 16, 2015 by The Atmel Team.